Infineon’s CoolSET™ offer high performance with the integration of latest 700/800V CoolMOS™ P7 power MOSFETs and provide the auxiliary SMPS full system solution, ideal for home appliances. With Infineon and Avnet Silica as your partner, you will be able to focus on the functionality which distinguishes your major home appliance designs without worrying about the need to develop complex power supplies. Read more about Infineon’s integrated solutions for embedded power and lighting in major home applications. CoolSET™ is available in both through-hole and SMD packages and thereby eliminates the need of heatsink and reduces BOM count with a small footprint. In addition to the typical output protection such as output short, overload and over-voltage protection, the 5th generation controller is incorporating additional protections to detect abnormal line input conditions such as over-voltage and under-voltage protection. Evaluate the performance of the 5th generation quasi-resonant CoolSET™ ICE5QR2270AZ and its ease of use in off-line switched mode power supply (SMPS) with Infineon’s 24 W 12 V power supply demo board. Your design needs lower voltage? 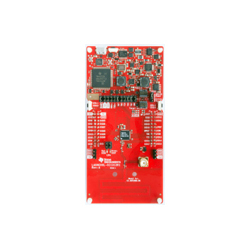 Then go for Infineon’s 15 W 12 V and 5 V power supply demo board which hosts another 5th generation quasi-resonant CoolSET™ – the ICE5QR4770AG. Register for a chance to win one of the boards. 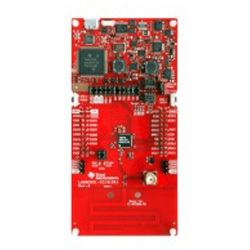 The CC1352 device is part of the SimpleLink™ microcontroller (MCU) platform which consists of Wi-Fi®, Bluetooth® low energy, Sub-1 GHz and host MCUs, which all share a common, easy-to-use development environment with a single core software development kit (SDK) and rich tool set. Be it pull-up resistors, pull-down resistors or just any other thing – many, if not most PCB designs come with a group of similar resistors. The knee-jerk reaction involves hitting the add a resistor button until the PCB is populated. Resistor networks provide an attractive alternative. Resistor networks come in families. The most common one is simply a set of resistors which are connected in parallel to one another. A more exotic alternative, which is usually only offered by specialist vendors such as TTElectronics, connects one end of the packages together, thereby creating the bus architecture shown in the figure. We recently saw significant interest in a series of resistor networks created by Panasonic – a popular example would be the EXB-28V470JX. The Japanese vendor offers a wide variety of resistor values and usually provides three different configurations, all of which are shown in the future. Due to the common substrate, resistor networks do a good job at handling terminal problems. If one part heats up, heat dissipates to the remaining parts, thereby ensuring that drifting remains – at least to some extent – the same across all parts. Another obvious benefit is the smaller size – if you play SMD resistors very close to one another, space is wasted between the individual components. When counting pennies for parts, the resistor network obviously is a bit more expensive – if only because the volume of resistor networks produced pales when compared to classic resistors. On the other hand, keep in mind that pick and place fees also cost money. Sadly, nothing comes without disadvantages. The first problem with resistor networks is availability – while one can almost always find an SMD resistor somewhere, finding a specific network in the middle of a battle zone or an undeveloped country is difficult. The same applies to finding replacements if the vendor decides to discontinue the component. When working with high-frequency or high accuracy designs, crosstalk can also become an issue-the common substrate, after all, can act weird as frequencies get high. Finally, keep in mind that a resistor network – by definition – places all of the resistors close together physically. This might not be a big problem for four or six layer boards, but can become critical when dealing with a space-constrained two layer board. Surface-mount fuses do a good job at protecting components from burning up – sadly, exchanging them is not a simple task manageable by end users. LittelFuse‘s RUEF series provide an attractive alternative, which is not widely known. Parts like the RUEF300 are based on the concept of the PTC. Designers switch them in series with the load, meaning that the parts normally have a pretty low resistance (less than 1 Ohm). Current flows through them, their substrate temperature increases by the well-known thermal effect. While the normal PTC changes its value linearly or exponentially, the resettable fuse jumps when reaching a specific temperature. At this point, the resistance increases dramatically, thereby dissipating most – but not all (!!!) – current through the load. When the overload situation ceases, the substrate cools off and restores normal current flow. This makes PTC resettable fuses ideally suited for all cases where stupidity can cause transient shorts. A classic example would be a USB port – users tend to plug in things which they should not. Protecting the hub with a PTC is the best course of action: once the offending peripheral is removed, normal operation resumes without customer service action. The large thermal capacitance of the part leads to a relatively slow switching process – while a normal fuse can switch out in less than a second, the part on hand can take up to 10 seconds in a worst-case scenario. Our figure shows the problem: as the ambient temperature changes, the jump point changes too – in some cases, the tripping current can half itself. Now that we got the classic principle of function sorted, let us look at a practical example. The RUEF300 mentioned in the introduction can handle 30V DC or AC and is guaranteed to survive to either 100A DC or 70A RMS. Switching takes place at a trip current of 6A, with the hold current level being set at 3A. In clear words, 3A can flow through the part forever. A current of 6A causes the part to trip eventually. The emphasis is on eventually: When loaded with 15 Amps, LittelFuse promises that the switching will take less than 10.8 seconds – not a fast part by any means. One of the issues making underground real estate unpopular with engineers is the lack of the ability to grow plants. Artificial lighting has low efficiency – recently, Würth introduced a set of LEDs targeted to the needs of plants. High school biology teaches that photosynthesis requires the presence of light. In practice, not every light will do – instead, particular plants have particular pigments, which do not respond to some spectral elements. Würth‘s (smart) reasoning is that farting out unneeded spectral components is a waste of energy and a sure-fire way to cause thermal problems. Thus, their LEDs emit light only in very tight spectral dimensions. If price is not an issue or optimum efficiency is required, the company provides additional light sources with infrared and various forms of normal day- and night light. One especially interesting one is the 158353040, whose light intensity is described as moonlight. Interior designers can use these to spruce up night-light installations. Those interested in finding out more about which LEDs to choose for the plant in question are served by an application note written by a famous biologist. The PDF file, available here, provides an overview of the various questions at hand. One interesting aspect of the part is a very uncommon land design shown in figure two. The part has two electric and one thermal pad which must be connected to some kind of thermal heatsink. Finally, be advised to wait when chasing these LEDs. Würth recently performed a significant upgrade of the materials used, leading to higher light output per part.